Nothing else can quite match the feeling of a warm fire during the winter months. While maintaining your chimney, you might run into problems such as chimney leaks. Chimney leaks are a common occurrence and there are many reasons why your chimney can be leaking. It’s important to catch any chimney leaking early on so it doesn’t snowball into something worse down the road. 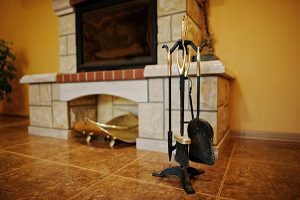 We’ll go over some of the most common causes for chimney leaks and how you can fix them so you can enjoy your fireplace in the fall and winter. One of the biggest causes for leaking chimneys is that you don’t have anything covering the top. With no chase cover, crown, cap or damper, your chimney has no way of protecting against rain and snow from entering it. Not only can moisture enter your chimney with no cover, but birds and other animals have a free passageway into your home. It only makes sense to have a chimney cover. Plus, if your chimney gets backed up from moisture and other debris, smoke can billow back into your home. Smoke and carbon monoxide can quickly take over your home which we all know is extremely dangerous. Whether you need a chase cover, crown or damper, you can get a free quote for any chimney cover from Chicagoland’s chimney experts to stop your chimney leaks. Another very common cause for chimney leaking is a damaged or cracked chimney crown or chase cover. Your chimney crown is the concrete slab on the top that protects your chimney from the weather. Over time, the concrete can become brittle and crack due to the excessive amount of moisture and temperature changes it experiences – especially in the Chicagoland area. Fixing chimney leaks caused by a damaged chimney crown can be repaired by filling the cracks or completely replacing the crown. Chase covers are found on prefabricated or factory built chimneys. If your home still has the original chase cover on it, chances are it’s made of galvanized steel which can rust and crack over time. In such a case, you should replace it as soon as possible with a stainless steel, copper or aluminum chase cover to make sure it never rusts again. Perhaps the most vulnerable area of your chimney are the brick and mortar joints which undergo a lot of stress from excessive exposure to weather. When the joints get damaged and split, chimney leaks become a common problem. If you notice water leaking through your chimney but you know everything else is in good condition, then your brick and mortar joints are most likely the culprit. You must get them repaired as soon as possible because if the leaking continues, your chimney’s structural integrity is at stake. Chimney tuckpointing and waterproofing will get your mortar joints back to new and your chimney will be moisture free. Your chimney flashing is the area where your chimney comes through the roof, or close to the roof, and prevents moisture and other debris from getting in between the chimney and roof. Flashing is usually aluminum and is sealed down with tar or another waterproof sealant. Over time, the sealant can erode and create an entryway for water. It’s important to get any damaged flashing repaired right away because both your roof and home are in danger of water damage if not taken care of. When you do get your flashing repaired, it’s important to have it waterproofed so it can stay intact for many years to come. One of the more rare cases of chimney leaks is condensation building up inside and causing it to leak through. 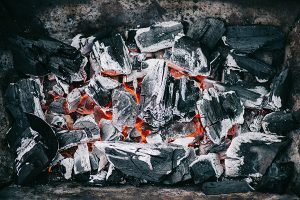 Chimney leaks caused by condensation happen when a chimney is converted from wood burning to gas burning and isn’t fitted with the proper liner. 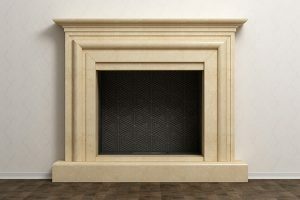 Gas fireplaces give off fumes with moisture due to the lower temperatures and of the correct liner isn’t installed, that moisture can build up and seep through your chimney walls. To prevent this from happening, if you have a gas fireplace or recently moved into a home with a gas fireplace, make sure that the proper liner is installed. If you’re unsure how to check, a chimney inspection will answer all your questions. When it’s cold outside, you want to enjoy the warmth and comfort of your fireplace. The last thing you want to happen is to find out you have a chimney leak and can’t use your fireplace when you want to the most. Chimney leaks can happen a multitude of ways including damaged chimney covers, worn out brick and mortar joints or weak flashing. Whatever the case may be, you can count on Early Times to get your chimney to proper working condition. If you know exactly where your chimney leak is happening, we can fix it. If you’re unsure, we’ll perform a chimney inspection to find the leak. For over 30 years, we’ve been trusted all over the Chicagoland area for all things chimney related. You can trust us to stop your chimney leak so you can enjoy your fireplace in comfort. 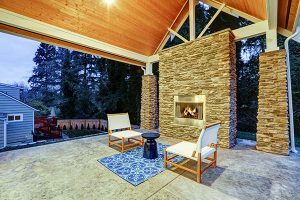 Get a free quote online for your next chimney project.